This month is dedicated to Stanley Gibbons! Not too often will I say this, mainly because they are expensive but they do get some great Jubilee stamps! 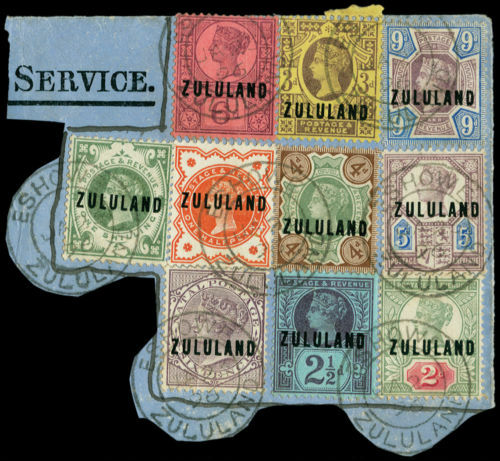 And the first item is this beautiful piece with the complete set of the Zululand Jubilee issue tied by Eshowe cds. Stanley Gibbons were listing this on eBay for £300. Unfortunately at the time of going to press, it is no longer available. Kicking myself a little bit for not snapping it up. This item here is a marginal block of four from setting 3B. This is in reference to the continuous purple line and intermittent blue lines in the margins around the stamp. This is actually not an area of Jubilee collecting I have got into yet, as it can get expensive for the rare (sometimes near unique) settings on all the values. 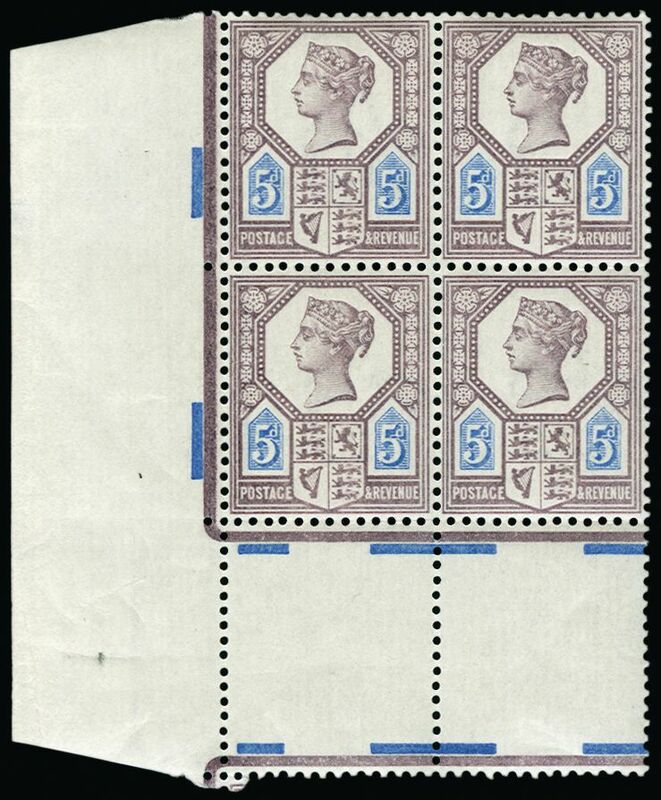 This one has a Wiseman scarcity rating of J (A being the most common and M being unique), and sold for £450. And we finish off with an expensive rarity. 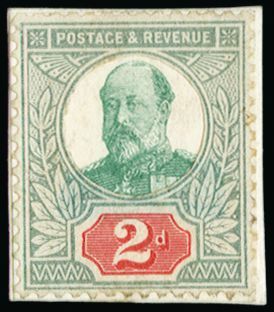 It is a 1901 2d composite “Paste Up” essay with a lithographed three-quarter face portrait of King Edward VII facing left cut and pasted in to an 1887 2d green and red Jubilee. It is believed to be one of only two or three examples in private hands. These series of essays will be the subject of a future article. When I find the time… For now, it’s yours for £10’000.